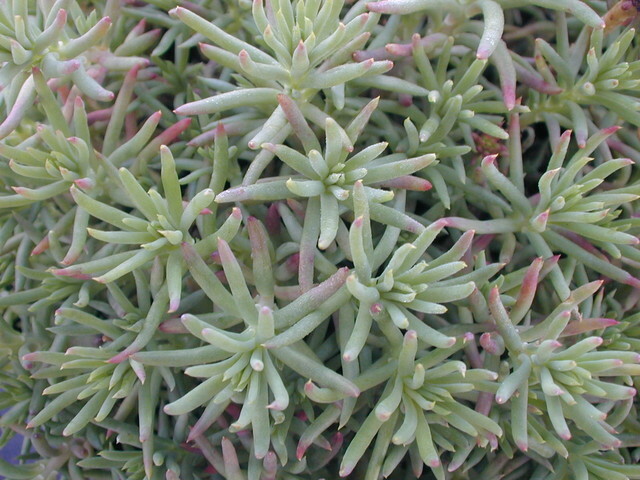 There are very striking color contrasts on this low, mat-forming variety. Leaves are green with hints of purple that becomes more pronounced in bright sunlight and new growth that is yellowish white. Yellow flowers in July. Evergreen.